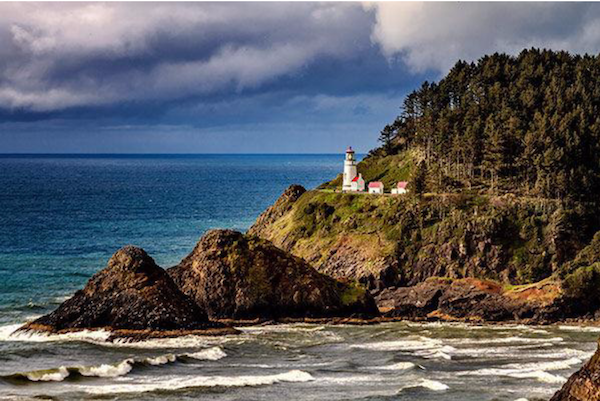 It's hard to imagine America's coastal landscapes without the string of lighthouses guarding their shores. 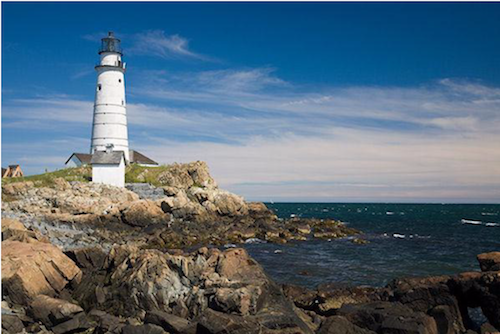 Sure, the need for these maritime icons has lessened greatly, but thanks to their storied histories and prime waterside settings, the lighthouse structures-and their timeless romance-endure. 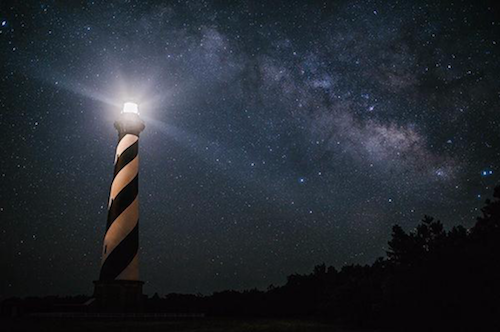 Fortunately, along oceans and lakes, these longstanding lights are easy to find-and often easy to visit. 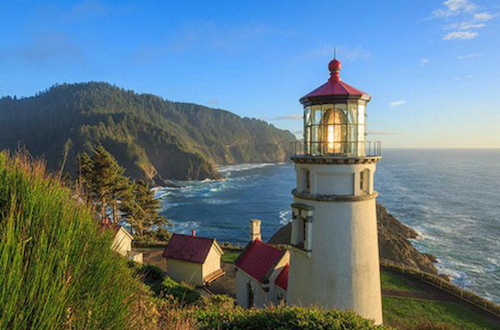 Here are seven of America's coolest lighthouses. If you've dreamed of spending the night in a lightkeeper's cottage, this rocky outcropping about halfway up the state's coast is the place to do it. Visit the lighthouse itself, then stay in the cottage, which is now a six-room B&B; it offers a front porch with amazing coastal views. The light casts its beam 21 miles out to sea, though the thing that keeps you awake at night might be the ghost of a woman said to have lost her daughter-it's rumored that the spirit makes strange noises and moves random objects around the B&B. 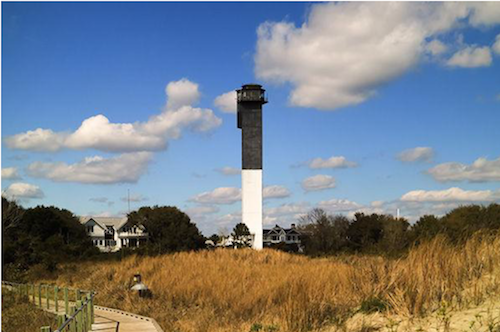 America's tallest brick lighthouse, measuring almost 200 feet, had to be moved in 1999 to save it from the effects of shoreline erosion. It took 23 days and cost a whopping $11.8 million dollars to transport it just 2,900 feet. Fortunately, the view from the top is still spectacular; and from mid-April to mid-October, visitors can climb the light's 257 steps to witness it. 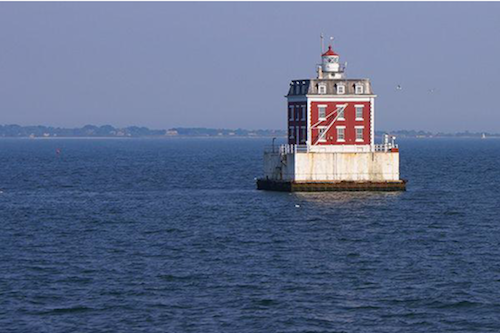 This house-like, three-story brick-and-granite lighthouse sits alone on a man-made island off the coast of southeastern Connecticut. Dating to 1909 and inspired by Colonial Revival and French Second Empire styles, the light is supposedly haunted by a ghost named Ernie-thought to be a keeper from the 1920s who jumped off its roof after his wife left him. Tours are available on select days in summer. 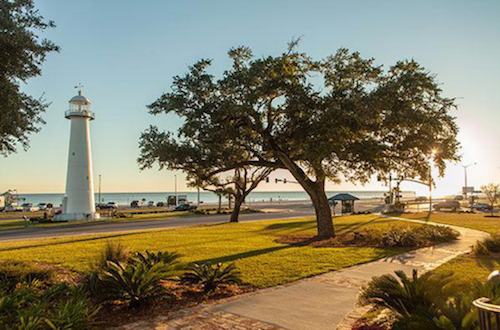 It's hard to miss this gleaming white, 64-foot cast-iron lighthouse, set smack in the middle of a four-lane highway on Mississippi's Gulf Coast. Erected in 1848 and unique for its series of female lightkeepers, the light was deeded to the city of Biloxi in 1968, and the city offers tours daily. The last major lighthouse built by the United States government (in 1960), the tower is made of concrete and steel, sheathed in aluminum. Its triangular shape allows it to withstand winds up to 125 mph. Being last, though, does have its benefits-the station is air-conditioned and outfitted with an elevator. 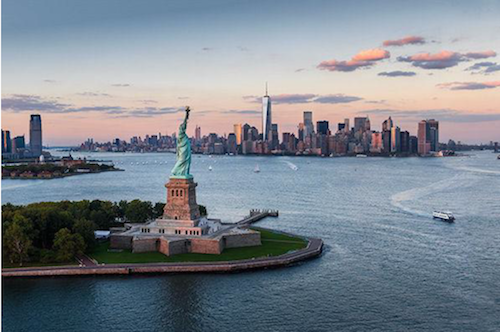 Arguably our nation's most famous statue, Lady Liberty's torch doubled as an operational lighthouse from 1886 until 1902 and was America's first to use electricity. It cost a staggering $10,000 a year to operate-a staggering sum at the time-but several factors prevented it from becoming a very functional aid for navigation. Fortunately, that didn't affect Lady Liberty's status as an American icon, evidenced by the masses of people who ferry out to visit her every day. GEICO can help shine a light on all of your insurance needs, from helping protect your travels to helping insure your home through the GEICO Insurance Agency.